The Request Fulfillment process improves the productivity of the business by giving its staff quick and effective access to the services they need to do their jobs. 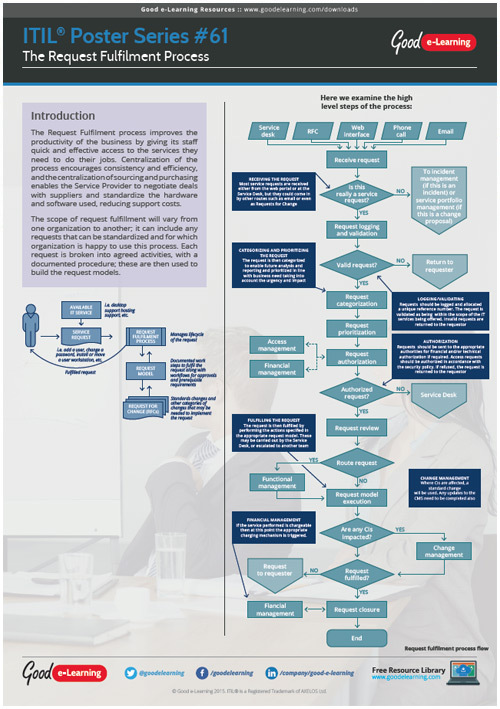 In this poster we explain the steps of the Request Fulfillment Process. It will be suitable for students studying ITIL Service Operation, Operational Support and Analysis or Release, Control and Validation.